The main reason I’ve seen this is because we haven’t actually applied a license to that user within Office 365. While some may feel that is straight forward, there is a certain aspect that causes the confusion. 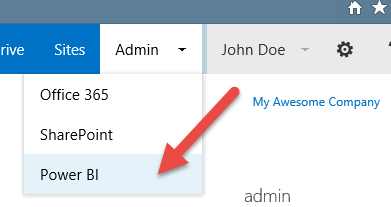 When you are within O365, you get the bar at the top that has your user along with some shortcuts. One of these may be the Admin drop down. Within that drop down will be the Power BI. This redirects you to https://admin.powerbi.com. This is great! Except if you don’t have a Power BI License assigned to your account. If you don’t, you get the above message of not having a Power BI License. This is specific to your user. 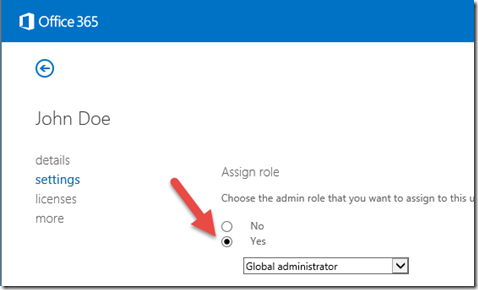 We see the Admin drop down on the top because the user is listed as a Global Admin from an Office 365 perspective for the Tenant. You will not see that Admin drop down unless you are in that Global Admin role. And, you will see Power BI listed even if you don’t have a Power BI License or Role rights within Power BI (which leads to the linked blog at the top). For the license message we received, we need to look at the licenses section for the individual user. This may look different depending on the subscriptions that you have for your Tenant. 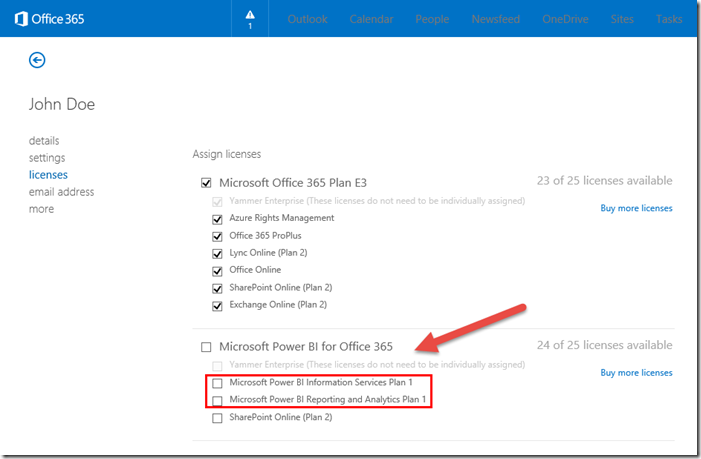 If you have a standalone Power BI for Office 365 subscription, you may only see Power BI. In my case I have an E3 Trial along with the Power BI Trial. The real item of interest here is the Microsoft Power BI Information Services Plan 1. That is what is required to get to the Power BI Admin Center. Side Note: Only have one SharePoint Online item selected for a given user. 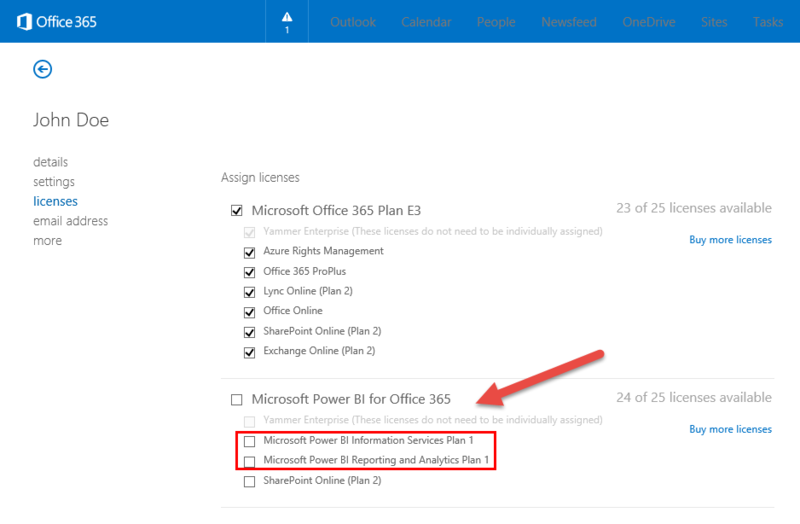 You’ll see that I have SharePoint Online listed under the E3 Subscription as well as the Power BI Subscription. You will have issues if you have both selected. I mentioned above that you will only see that Admin drop down if you are in the Global Administrator Role. So, if you have the license and are in the Power BI Admin roles, you can just get there directly by going to https://admin.powerbi.com. Unfortunately, there is not another direct link that you can use.